OTTAWA, February 7, 2017 – The Macdonald-Laurier Institute is pleased to showcase the first paper of its Confederation Series. Brown’s brief tenure (only two days) governing the Province of Canada in 1858, between successive administrations led by John A. Macdonald and George-Etienne Cartier, has often been criticized – as reflecting Brown’s political failings compared to his opponents’ long-term success. 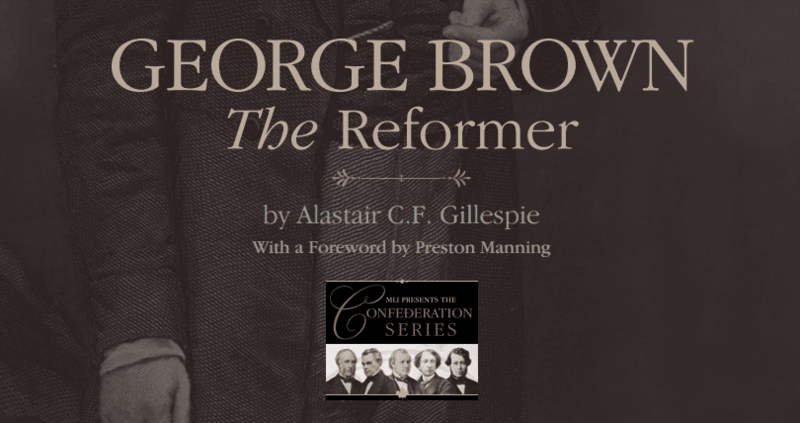 To Brown, a constitutional settlement was the only way to overcome the political dysfunction that marked the union of Upper and Lower Canada. Extending an open hand, Brown’s new non-partisanship culminated in Brown and Macdonald walking together into the House of Commons in 1864 to form the Great Coalition and, eventually, to carry Confederation together. The Brown paper will be followed (in order) by papers on Cartier, Galt, D’Arcy McGee and Macdonald. To support the Confederation Series, MLI established The Confederation Project, an online resource to publish and collect the speeches featured in the papers. 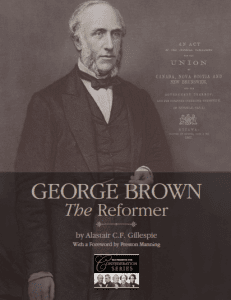 George Brown’s Speech in the 1865 Confederation Debates can be downloaded here. Other speeches are also available on the Project webpage, with additional ones to be released over the next few weeks.